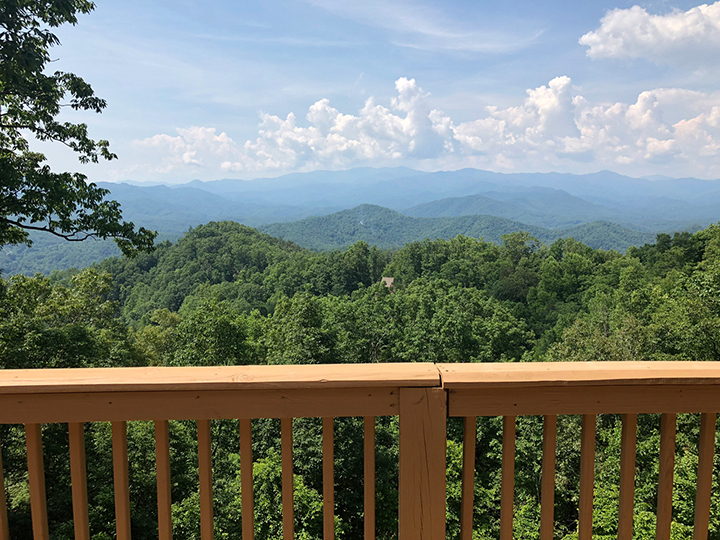 Enjoy a big mountain view just minutes from town! 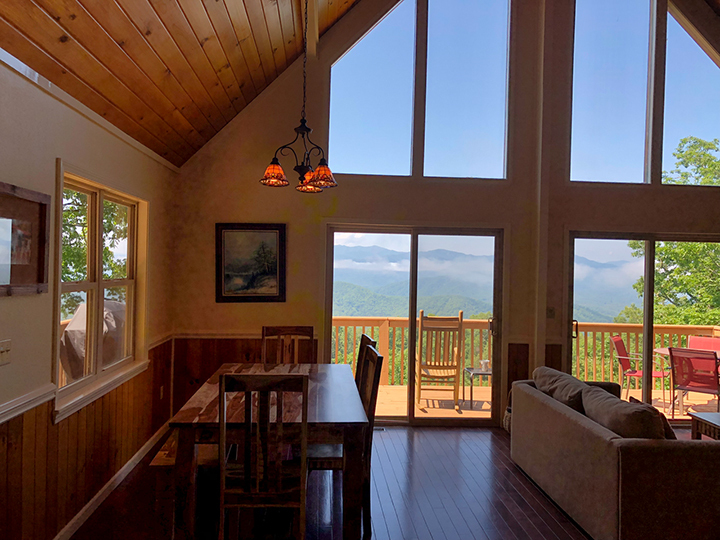 Above the Trees is 5 miles from Bryson City and a short drive to popular activities like whitewater rafting on the Nantahala River, mountain biking the Tsali trails, and riding the Great Smoky Mountain Railroad. 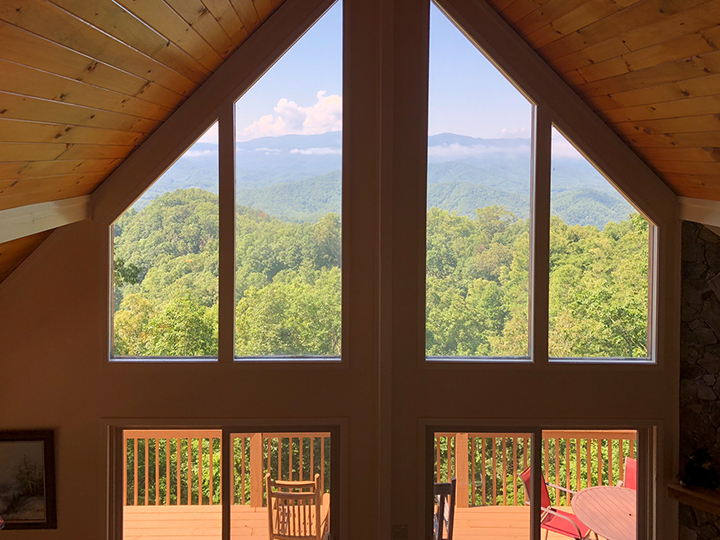 This log cabin is privately located in a gated mountaintop community. A paved road takes you most of the way up a mountain. 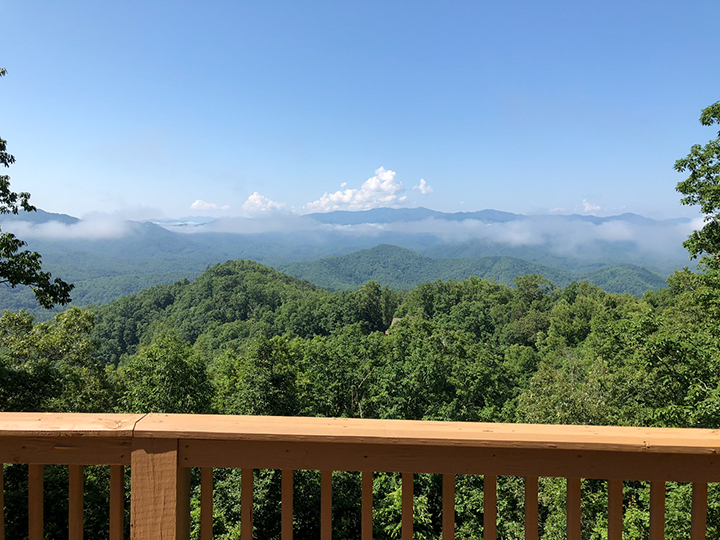 A short section of gravel road gets you to Above the Trees and a breathtaking view. Go Above the Trees and above the clouds! 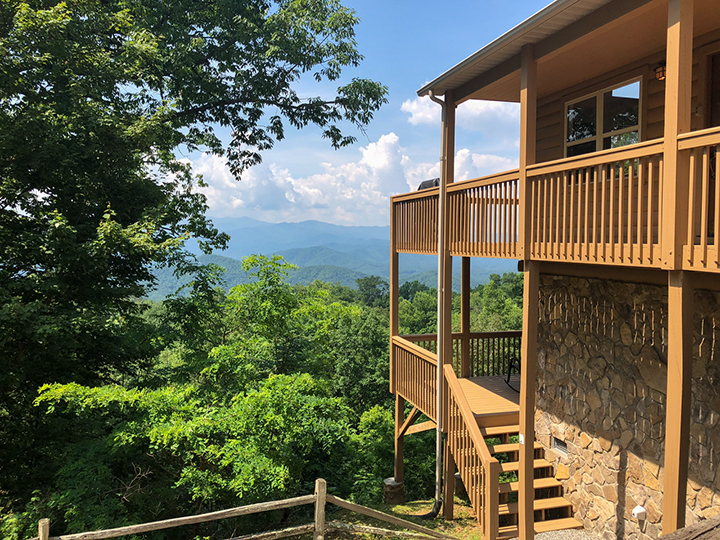 This modern log cabin has two large decks, where you can take in the spectacular views from the comfort of a rocking chair or the private hot tub. A gravel parking area has plenty of room for two cars. 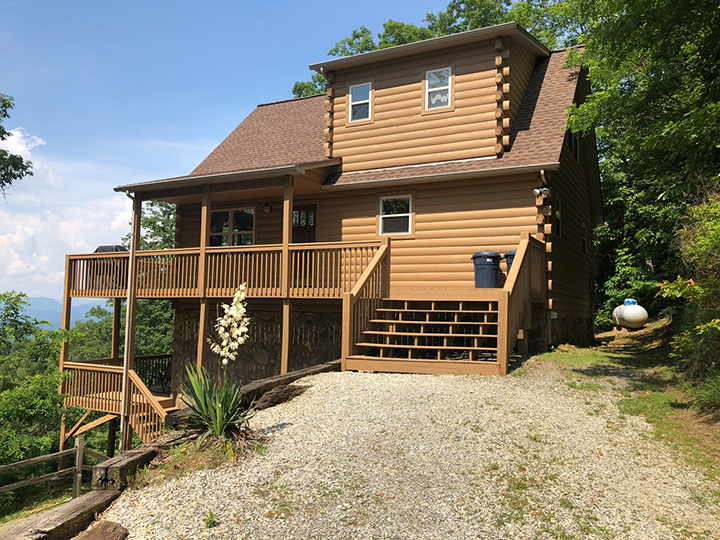 From the driveway you can access the front door using a short set of stairs. 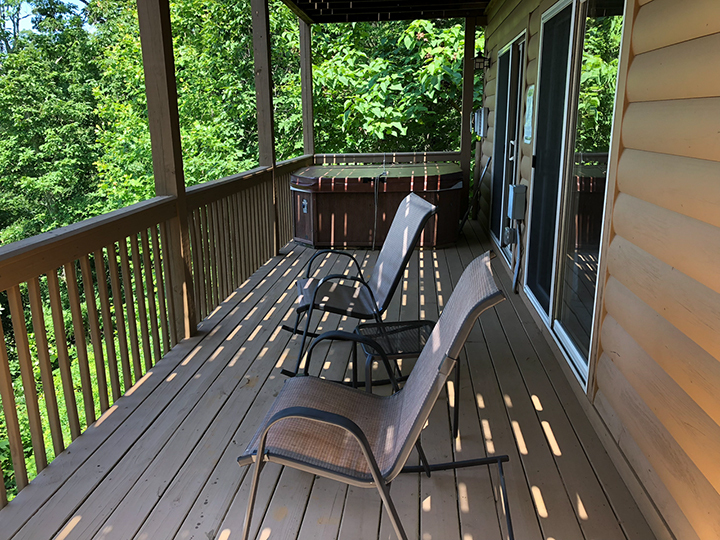 A second set of stairs leads to the lower deck, hot tub, and master bedroom. 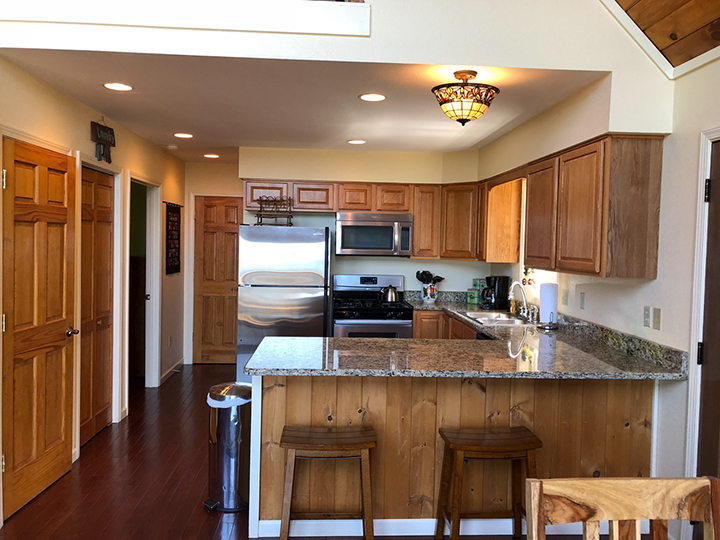 A grill near the kitchen is perfect for cooking steaks while you breathe the fresh mountain air. You can dine al fresco or just enjoy a glass of wine while you watch the sunset. 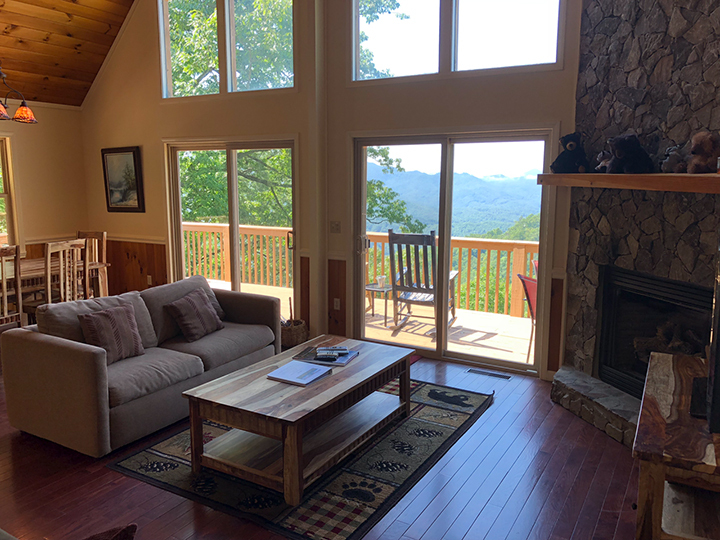 Get ready to make some memories in the spacious great room, where enormous windows bring the mountains inside. Relax on comfortable leather couches, read, or watch a movie. Prepare a feast in the open kitchen with granite countertops (or just throw in a pizza). The washer and dryer are located in a closet off the kitchen for your convenience. 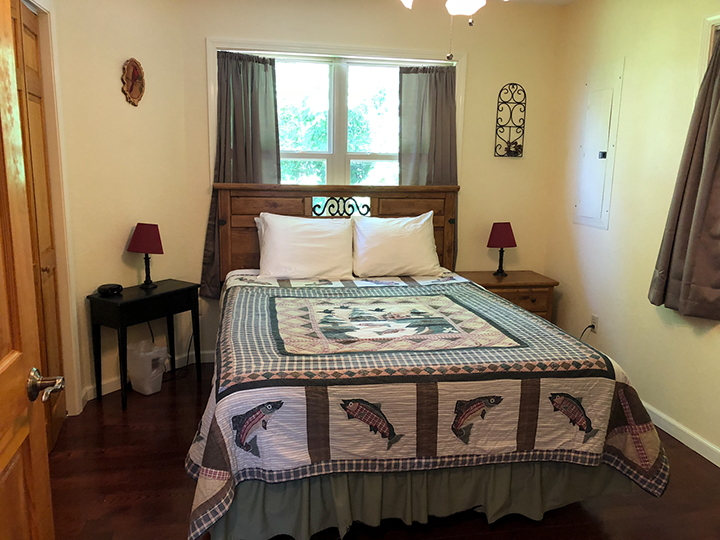 A second bedroom with a queen-sized bed is down the hall, across from the full bathroom. The nearby coat closet has a selection of board games for family fun. 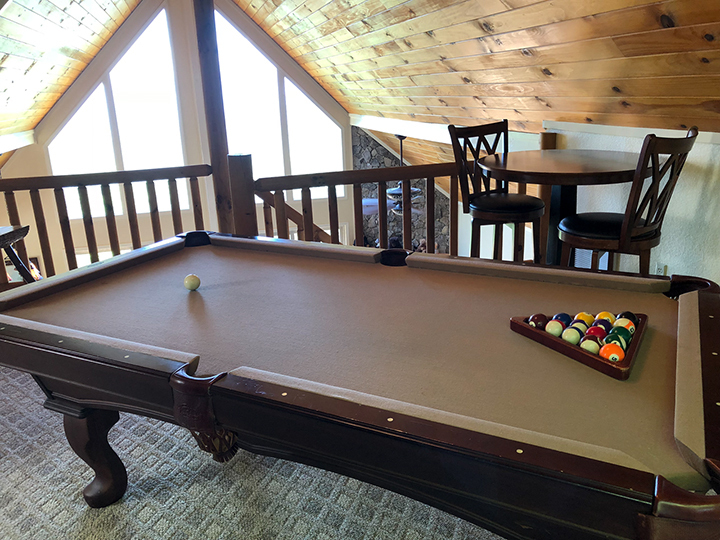 Challenge your family or friends to a pool tournament in the upper-level loft, or sit and read a book in the rocking chair. The loft also has a convenient three-quarter bathroom. 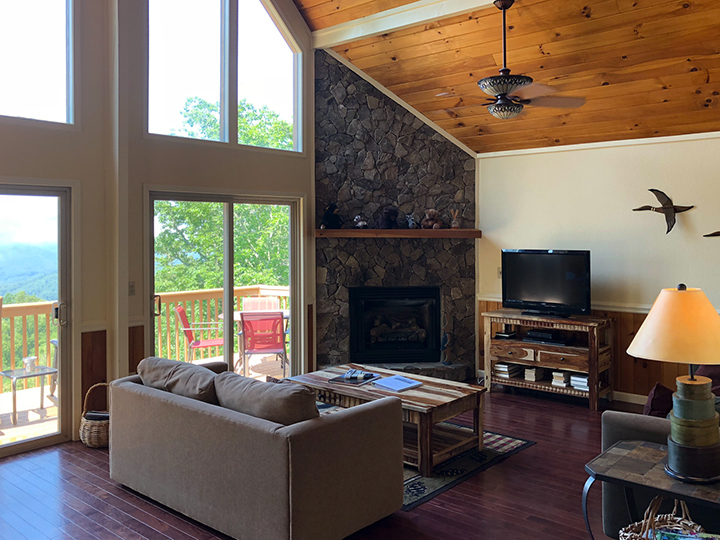 Above the Trees is a wonderful getaway for a honeymoon, anniversary trip, or family retreat. 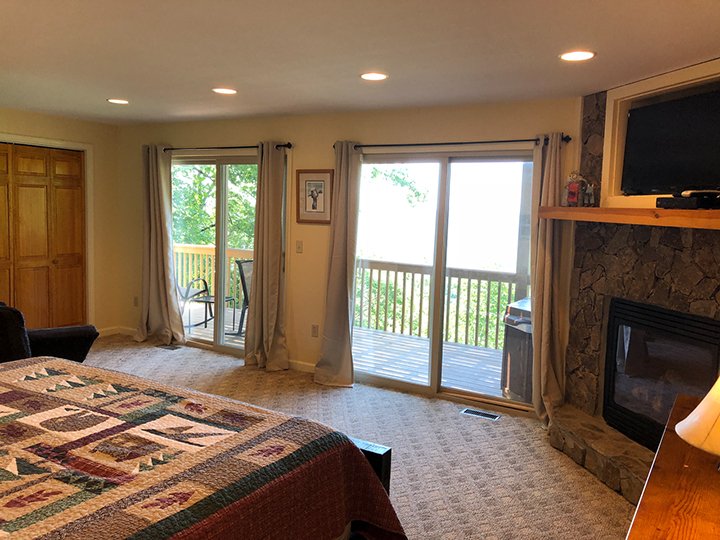 The entire lower level is a large master bedroom with a wall of sliding glass doors that lead to a private deck and hot tub. The room also features an en suite bathroom with a relaxing jacuzzi tub. 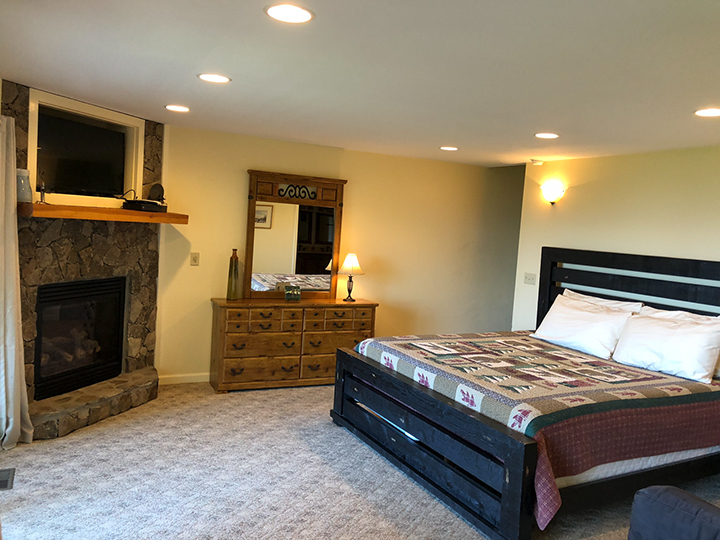 A comfortable king-size bed is perfectly positioned to face the mountain view and the cozy stone fireplace.